Amid the gloom of Alworths’ collapse into administration last month, it seems that there’s now some good news. 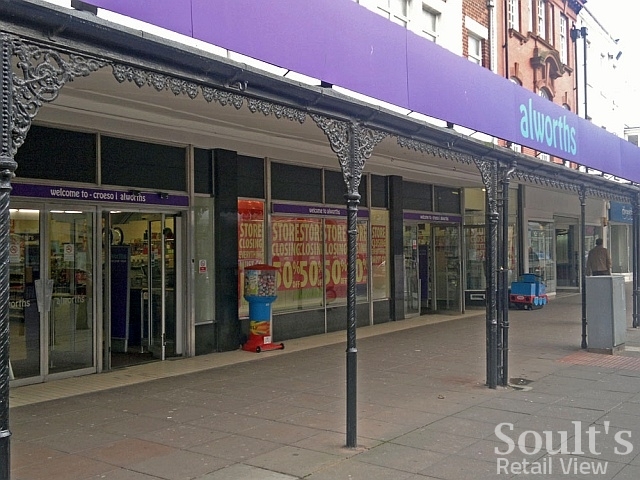 Retail Week is reporting that Alworths’ variety store rival, Poundstretcher, has bought 15 of the failed chain’s 17 stores. Only the Llandudno and Evesham Alworths stores miss out – Poundstretcher already has a presence in the Welsh resort, and has recently been advertising jobs at what will presumably be a new store in the Worcestershire town. The outcome seems like a positive result, saving the majority of Alworths’ jobs, and preventing the reappearance of empty stores on the high streets concerned. Indeed, the purchase includes several Alworths stores that had actually already closed their doors in the last few weeks. 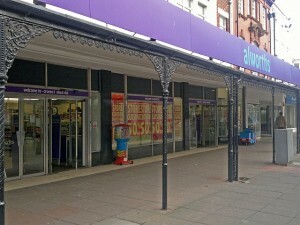 The widely used ‘son of Woolworths’ tag reflected Alworths’ name and business model, as well as the fact that most – though not all – of its stores were former Woolies sites. Several more recent openings, including Newark, Maidenhead and Alloa, took over premises vacated following the collapse of the fashion chain Ethel Austin. 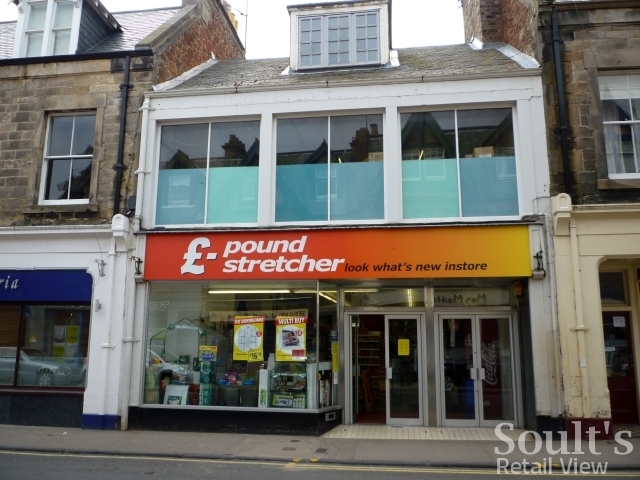 For Poundstretcher, the deal adds to the collection of ex-Woolworths stores that it has acquired already, which stretch from Scotland (North Berwick, Edinburgh) to Cornwall (Camborne) and Northern Ireland. 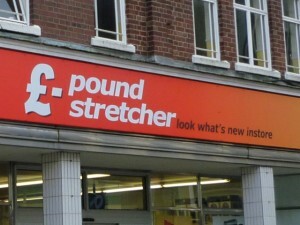 Today, we can certainly celebrate the good news of Poundstretcher’s acquisition of Alworths. However, the really hard work will be Poundstretcher proving that its business model is still viable, relevant and – crucially – profitable. Just returned from a visit to Swadlincote and Alworths has been converted to a Poundstretcher directly opposite an established larger Poundstretcher store. 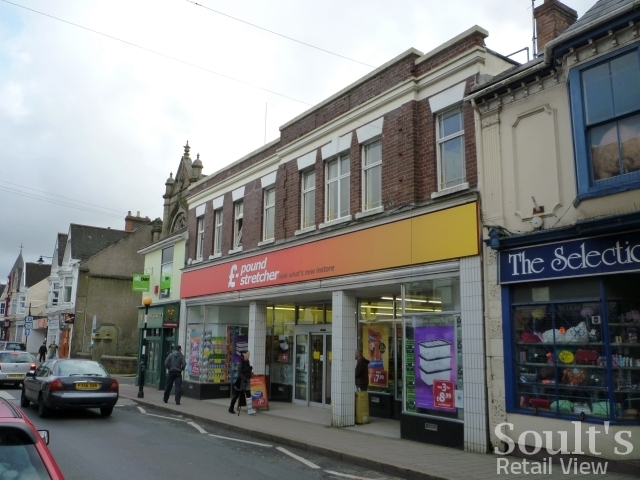 The smaller store now holds all the smaller lines such as food,drink and some household goods, whilst the other has DIY, garden and furnishings, so there is hardly any duplication in stock between the two. Interestingly the original Poundstretcher is based in a former Gateway store which for several years existed a few doors away from a former Fine Fare store which was converted to Gateway. So Swadlincote is no stranger to having two branches of the same chain in close proximity to each other in their main street. Although I have never been a fan of Poundtretcher i am really pleased that They bought Alworths and saved so many jobs. It’s a pity the stores could’nt have kept their own identities as it was the closest thing you could get to Woolies still being on the High street. How did Andy Latham get it so wrong when Alworths started off so well? 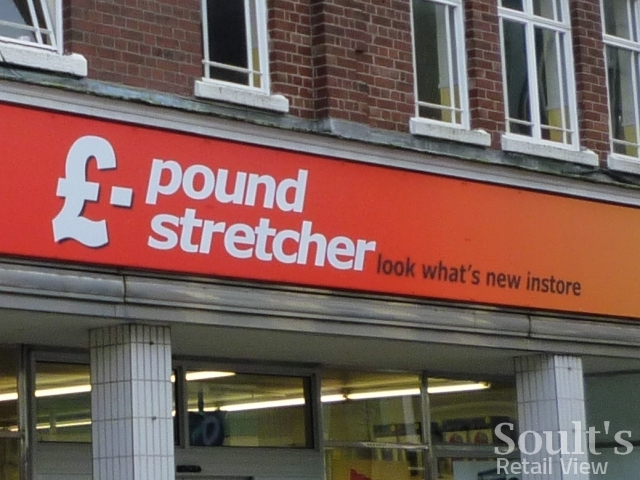 Actually, Poundstretcher already have a branch on the same retail park that Woolworths had relocated to from Newark centre, which is, I suppose, between half and three quarters of a mile from the Alworths store. I can think of various possible explanations, but all of them would seem cynical or sarcastic. Having said that, with hindsight, most correct predictions these days seemed cynical or sarcastic at the time they were made. I’m surprised at Poundstretcher taking on the ex Alworths store at Swadlincote as they already have a larger store directly opposite.